On partnership with Urbz Colombia and Fase Medusa the community want to organise the 3rd Workshop Emerging Architecture and Urbanism. This workshop is a space focused on the exchange of knowledge between the inhabitants of the neighborhood, students, professionals and everyone who wants to participate on the construction of the different projects through collaborative process. 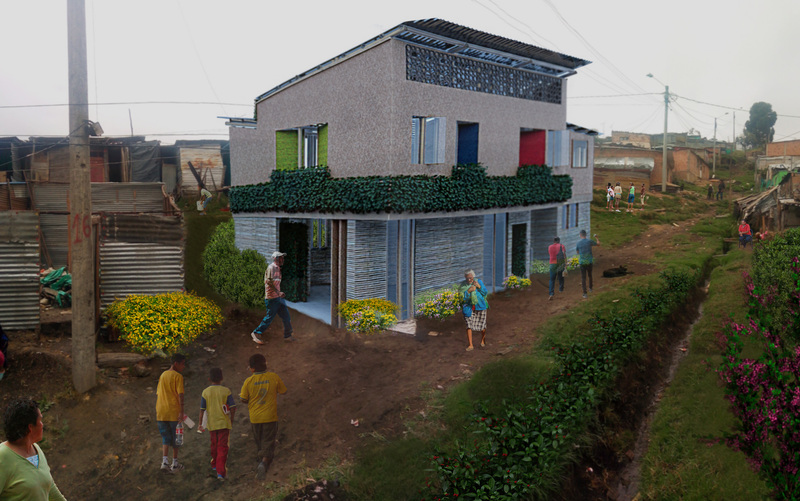 The main objective of the 3rd Workshop in Emergent Architecture and Urbanism is to build the first step of de community hall. Currently, in this area, more than 600 children and more than 400 adults develop different activities on precarious conditions. Using sustainable construction technics, the construction of the community hall will be set with all services required to host the activities in the best conditions. The community hall will include: classrooms, toilets, kitchen, nursing, library and an administration office. For the consolidation of this project, starting from mars, all weekends are dedicated to construction workshops, focused on preparing the space for the execution of the final workshop. This phase will permit to bring together the multiple actors and raise the necessary funds to build the project. 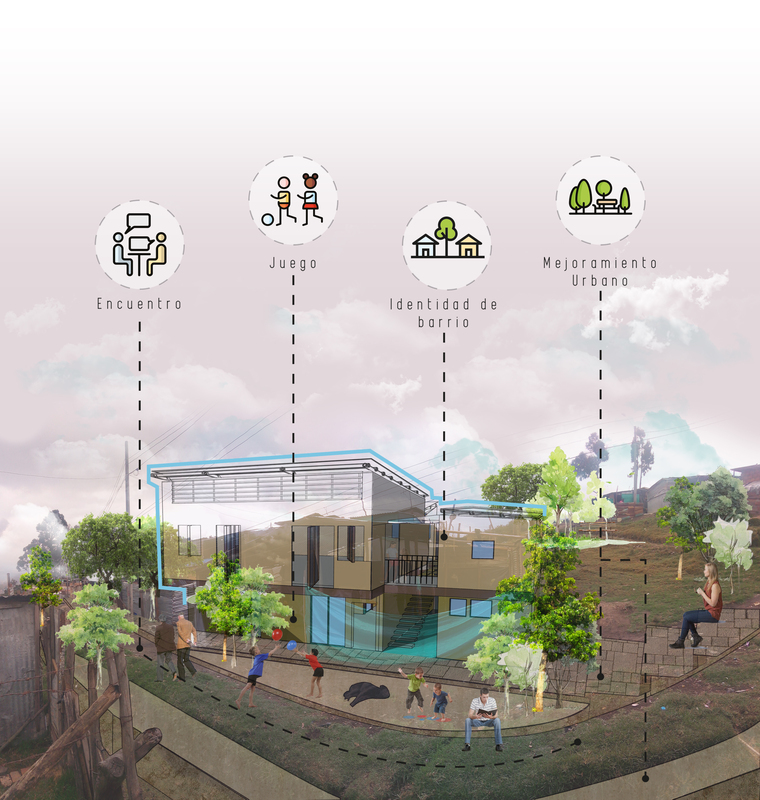 From the 30th of May until the 2nd of June will be set the 3rd Workshop in Emergent Architecture and Urbanis in which will be consolidated the first step of to build the community hall.